Winc set out to change the wine industry by finding new ways to get better value to wine drinkers in the under $15 range, and boy have they ever. By delivering unprecedented value at $13 a bottle and personalized selections geared for every palate, Winc is a standout wine of the month club. If you're ready for more sophisticated wines, you can upgrade to Winc Select. Either way, you can save even more money by participating in their myriad rewards programs. We love how they go above and beyond to reward loyal customers with substantial savings and invitations to a premium level program. No other wine club offers this level of loyalty rewards, or this much fun! Also, as time has passed under wine director Ryan Zotovich, the selection of premium wines has both grown in selection and quality. Winc works so hard to make their service great that it's hard for us to think of something they should do to make it even better. A WINC Wine Club membership costs $52.00 , but you can pick more expensive wine if you want. Free shipping plus sales tax where applicable. The price per bottle, with shipping, ranges from $13.00 to $45.00 depending on how you configure your membership. Winc, formerly Club W, emerged on the wine club scene on a mission — sell affordable but good wine and offer personalized wine club shipments. Several years later they’ve evolved into the nation’s largest winery and in 2018 they’ll produce around 300,000 cases of wine (not all of which are inexpensive). Winc's regular subscription is aimed at the casual wine drinker who is interested in discovering new wines at an affordable price (50% of their selection is $20 or less). They also offer premium wines ranging in price from $21 to $42. Winc is a personalized wine subscription, and they pioneered the concept so they’ve had time to get very good at it. Winc’s personalization comes in two forms. First, they use an algorithm to pick wine for you based on preferences you state during a palate profile quiz at sign up. Later they add to their knowledge of your preferences when you receive and rate more wine. Second, you can swap out any number of bottles or add any bottles you want, at any price, every single month. Shipping is free starting with four bottles. In addition to all of the modern conveniences expected from an online wine subscription, we especially love their fun brand. If you like buying wine based on the label, you’re in luck. Winc labels are worth talking about. This year’s rock star is a rosé called Cocomero whose label is covered in scratch-n-sniff watermelons! They’re also the now-infamous creators of the brand Summer Water (a play on Hampton Water a local nickname for rosé). Winc often gets lumped in with other affordable wine clubs (under $15 a bottle), but it stands out from those other wine clubs because they ship “bulk wine” and Winc does not. Bulk wine is best defined as a large volume of wine produced by an anonymous third-party for the purpose of selling a lot of it without any concern for brand reputation or making a quality product. Bulk wine gets a bad rap because most of it shows wine flaws and tastes the same (the reds are a little sweet, the whites are rather heavy on the alcohol). There are companies using the bulk wine model who sell very good wine (Costco’s Kirkland brand, Cameron Hughes, and 90+ Cellars come to mind). Winc creates [almost] all of their own wine and by definition, it is not bulk wine. So what kind of wine does Winc make? Winc produces all kinds of wine — a mix of white, red, rosé, sparkling (including a sparkling red), some sweeter wines, and, not one to miss a hot trend, a cider (“apple wine”). They make wines ranging from $13 to $42 (member pricing). When you want to spend more on a bottle, Winc has you covered. At the time we updated this review there were 60 wines available on Winc. Their focus is on great wine under $20 (around 60% of what’s available), but their portfolio of wines over $20 is increasing each year. They’re not just producing familiar crowd pleasers, they’re introducing new grapes, wine styles, and wine regions that you can’t find at the grocery store or Walmart. So if you live somewhere those are your best places to buy wine, we strongly suggest taking a closer look at Winc’s wine selection. The company is committed to increasing sustainability in the wine industry at every step of the supply chain, beginning with wine transport. They move wine from different bottling facilities to their packaging facility in reusable totes instead of bottles or barrels. This lowers the amount of fuel it takes to ship the same amount of wine. Next up, they've recently done away with most wine capsules (that bit of plastic or metal covering the cork at the top of the bottle). The mostly no-capsule program helps keep costs down, but more importantly it saves tons (literally) of non-recyclable material from ever getting to a landfill. Their boxes and the trays the wine ships in are entirely compostable. Another aspect of their sustainability program is their commitment to sustainable farming. Winc actively supports "growers and winemakers that practice sustainable farming an winemaking. Whenever possible we opt for organically grown grapes and minimal intervention in production. We feature a number of biodynamic, vegan and otherwise sustainably farmed and vinted wines." At WineClubReviews.net we take an objective approach to our star ratings system. Our written reviews are very much subjective, based on our 10+ years of wine club review experience and our own ideas about what good wine and good value mean. The star ratings are based on 11 attributes that we feel define what a wine club should be. Here is how WINC Wine Club stacks up on these traits. Note: This rating is our objective analysis of Winc’s satisfaction guarantee—not our assessment of whether or not you’re guaranteed to be satisfied with their wines. If you are not completely satisfied for any reason, please let us know immediately. We will gladly credit you the full value of your bottle towards another wine of your choosing in your next shipment. ... Restrictions apply. Please ask a Winc Concierge for more details. We reserve the right to deny Satisfaction Guarantee to customers who abuse the policy." We've been drinking Winc wine on a regular basis for years now. If you like sweeter wines and interesting whites, this is a terrific wine club for you. You'll love choices other than Chardonnay and Sauvignon Blanc (though they offer those, too) and you won't find a better value at the grocery store. We have been surprised by the quality of an increasing number of $13 red wines from Winc, but sometimes their reds are not too different from what we find at the grocery store or Trader Joe's. If your budget allows for more than $13 per bottle, we highly recommend trying their more premium selections. We find their premium reds to be a greater value in red wine for the price than we can get anywhere else—including our winery wine club memberships from the same California wine regions where Winc sources its wine! There are two ways we evaluate the price of a wine delivered in a wine subscription box. The first is to assess whether the wines are being sold to members at a discount. In the case of Winc, who also sells their wine via Whole Foods, fine wine stores, and at restaurants and hotels, members definitely save over these retail prices. The second aspect of pricing is whether or not you can find similar wines at the same or better prices. The answer here is mostly no, you can’t. We live in Southern California and do a lot of winery wine tasting in the Santa Barbara County and Paso Robles regions where many Winc wines originate. Winc is offering awesome deals for comparable wines at small wineries in these areas. First up, introductory offer. Check! Winc typically offers $20-22 off your first box when you sign up through their site. We have a special deal with them and our readers get $25 off their first box, just by using our links. No coupon code required. Second, discounts on reorders. Members already get discounted prices on all wine from Winc, so they don’t offer reorder discounts. Just add what you like to your next box and enjoy your members-only price. Don’t forget to add four bottles so your shipping is free! Get a 10% case discount if you order 12 or more bottles (any 12, they don’t have to be the same). Third, members-only specials. If you've come to love Winc and you plan to stick around for a while, you can pre-purchase credits at significant discounts. Save up to 20% just by buying your wine credits ahead of time. More ways to save on wine at Winc. They have two referral programs. The first is their "Give a Box" program. Each month you earn invitations to send a nearly-free box of three wines to your friends, they just need to cover tax and shipping. Right now they’re running a sweepstakes for a Napa Wine Tasting Trip when you give your friends a box. If you'd rather earn credits for your referrals, you can use your personal referral code instead. Your friend gets $20 in credits on their first order, and you get up to $26 in credits in your account ($13 when your friend places their first order and $13 when your friend places their second order). Even more ways to earn credits at Winc! They really want you to rate their wines, so if you rate 10 wines, you get a $10 credit. Rating is easy and improves their monthly recommendations for you. Also, if you give someone a gift of Winc membership, you'll get 10% of the purchase price in credits for yourself. Spend $150? Get $15 in credits! If you like JetBlue, as a loyal Winc member, JetBlue will reward you with 1,000 TrueBlue points for every 24 bottles purchased. Winc has a hit-and-miss customer service record. While we haven't received direct complaints from customers, there are many websites detailing customer service foul-ups. Usually this is because people seem confused about the fact that they've signed up for a monthly subscription service, particularly if they received Winc credits as a gift. Their shopping cart now clearly gives you the option of redeeming your credits and authorizing a one-time purchase if you’ve spent more, or enrolling in the membership. Another complaint is that the wines aren't good quality. Our response to that is typically, "What exactly did you think you were getting for $13/bottle? Opus One?" The other major group of complaints centers around cancellation. Most people don’t think about how to cancel when they’re signing up for something new, but most likely someday you’ll want to cancel your Winc subscription and try other things. So don’t say we didn’t warn you: you have to call to cancel (or use LiveChat) during their regular business hours. You cannot cancel your account online. Winc offers convenient online account management. There are few wine delivery services that are truly convenient (let’s face it, shipping logistics can be a major hassle), but Winc is one of them. They offer total online control of your account. Change the number of bottles in your box and your selection of wines easily or skip a month (useful for vacations). Note: you can't cancel your membership without picking up the phone or using Live Chat. Winc sends email notifications to remind you to pick the wines for your next box, and lets you know the date your wine will ship giving you time to cancel or skip if need be, or ship it immediately. You also get a delivery reminder the day before your box arrives. Sign up for FedEx Delivery Manager for even better control of when your wine is delivered. A personalized wine club used to mean you picked the color of your wine and maybe how often you received your two-bottle selection. These days, companies like Winc, TastingRoom.com, and Firstleaf are all targeting the wine drinker who only wants to receive wines they’ll love. There’s something to be said for “no surprises” but the adventure of trying wines you wouldn’t have picked yourself has its charm, too. Winc’s algorithm does a pretty good job of recommending wines for us. We always pick some of our own wines, too, because we love to try new wine. Over time if you use their wine ratings tool the recommendations improve. Just go online and tell Winc your opinion of a wine by clicking on up to 5 stars. The education style for Winc is different than other wine clubs. At other clubs you get a glossy (or not) printed brochure detailing how the wine was made, a bit about the wine region, the winemaker, and the winery. This is usually accompanied by food-pairing recipes and other trivia. Winc, as part of its efforts to be more eco-friendly, has eliminated most printed wine information. In your first shipment you get a copy of the Winc Journal, a Reader’s Digest-sized book of information about their current wines, recipe pairings, winemaker info, and more. If detailed information about the vineyard, the winemaker, or the winery is critical to your wine club experience (mostly wine geeks like this), then this isn't the club for you. Winc does provide some information about the winemaking, but limits information on the winemakers and vineyards because these are often deals made with the expectation of anonymity—it's part of how they deliver such great value. Think of it like Hotwire or Priceline, where brand name hotels offer rooms at far below their published rates so they don't hurt their brand by becoming associated with low prices. Winc's curation process starts with the winemakers they select to work with. Their service runs on rating wines for your palate, so they try to make wines to fit easily-defined profiles. This may not excite experienced wine drinkers who expect nuance and a long finish. Their wines are all designed for low-fuss, immediate enjoyment. This is essentially a double-curated club—first by professionals, and then by your taste preferences. Stick with their Recommended wines or go off-book and create your own wine-tasting experience — either way, you win. Personalized wine clubs like Winc are still pretty rare so they get high marks for being unique. Winc defines their niche by delivering exceptional value at an-almost-too-good-to-be-true price-point by redefining the entire wine distribution process, cutting out middlemen and shipping costs during the winemaking process. Their branding is saucy and fun, lively in tone and aesthetics, and always friendly. We think Winc makes a fantabulous gift idea. (Yes, we know we made up that word.) 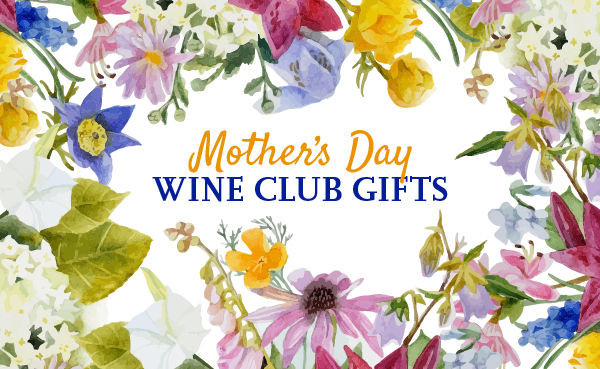 Most wine clubs are great last-minute gifts because you can print out a gift notice and stick it in a card, but if you plan ahead by as little as a few days, you can deliver a snazzy gift note announcing the fun that is to come. You can pick how much you want to spend (a minimum of $60 and then in $50 increments from $100 to $600), and your lucky wine-loving recipient gets to choose their own wines. Or, they can let Winc pick for them. Editor's Note: Winc Membership is the wine club formerly known as Club W. If you’re curious, you can read our old Club W Review. Warning: WINC is one of those recurring subscription models that makes it impossible for you to cancel, and then provides a terrible customer experience when you attempt to. Great idea, decent wine, but not worth the cancellation experience. I was incredibly frustrated at this point, having wasted over 4 hours of mine and my roommates time trying to work through their convoluted cancellation process, and to have the result be that WINC was going to negotiate with me and provide a suboptimal service experience. Companies like Zappos are as successful as they are because they put customers first and work with them to a solution that generates a raving fan of a customer, rather than getting defensive, blaming, and negotiating against their customers. Companies like WINC will find that this ends up harming their growth and success, because stories like these will be communicated and shared, and customers like me will highly encourage others to never try their services. I will also be encouraging Hello Fresh to not partner with them in the future, because it reflects poorly on their brand to partner with companies that don't hold the same customer service standards they do. WINC team if you read this, I hope you actually do something about it and re-evaluate your customer service philosophy and make your cancellation process easier. If you have a great product and great service and are generous with your customers, then retention and new customer acquisition will get a lot easier because they will love what you do and spread the word.